Aspen’s rich tradition of architecture and design dates back to the silver mining years in the late 1880's. This tradition extended to the New Bauhaus School of Architecture sponsored by Walter Peapcke in the 1950's, and the legacy of embracing artistic influences remains strong in the town today. 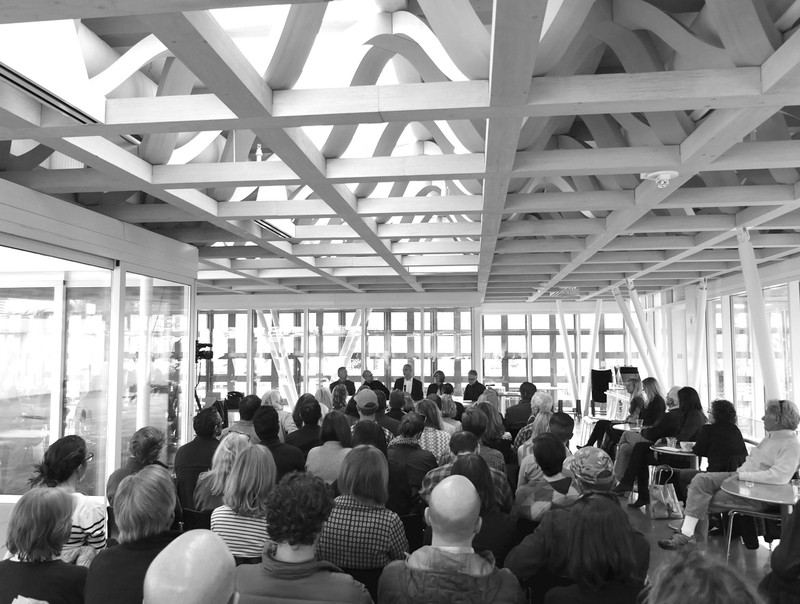 For the last ten years the Aspen Art Museum has brought world-renowned architects to Aspen to share their practice, process, and work with the community. 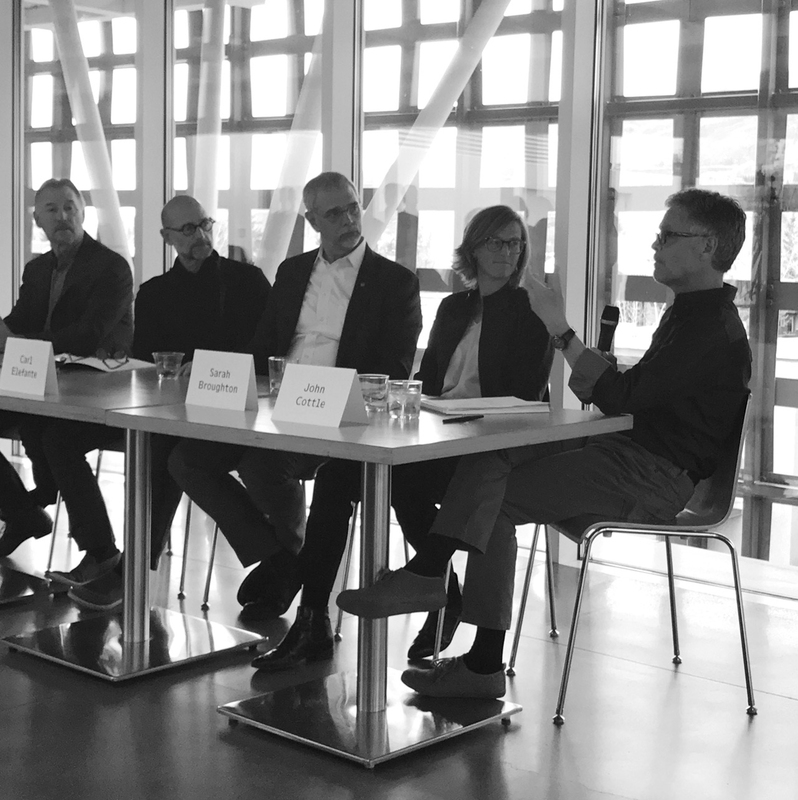 In celebration of their anniversary, the AAM invited four leading Aspen Valley architects to participate on a panel discussion, asking: "how has the design of our local environment evolved and where might we be headed"? Carl Elefante FAIA, the 2018 AIA National President traveled to Aspen from Washington, D.C., to moderate and contribute to the conversation. Both panelists and audience responded to and pondered how a sophisticated mountain town like Aspen continues to honor and respect its high standards, while at the same time evolving as a community. CCY Architects’ partner and principal, John Cottle FAIA, was one of the panelists invited to speak. He was joined by Sarah Broughton AIA of Rowland & Broughton, Scott Lindenau FAIA of Studio B, and Charles Cunniffe FAIA. One hundred and fifty people attended the discussion, which was recorded by Aspen Grass Roots TV. The Aspen Art Museum was designed and built by Pritzker-prize winner Shigeru Ban Architects and supported by Architect of Record, CCY Architects.